"This book offers a short, prophetic reflection on the crisis of the late modern age and what happens when you deny transcendent, objective value." "Before God saved me, this book explained the world better than any other and inflamed my pride to seek a life of greatness. (Without a doubt, I am glad that God saved me from the mindset of this book.)" "This book is a chilling look at what an over-regulated world looks like where producers are punished for their innovation and wealth and it impacted my business and my politics." 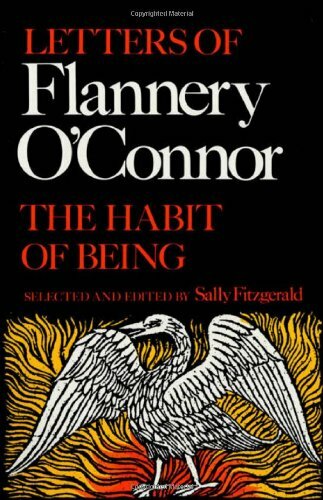 "I appreciate how this work of philosophy looks soberly yet redemptively at human existence." "I read this book many years ago, and was in awe of the fact that nearly every page seems to point to the existence of a creator, yet God's existence was so carefully avoided. This has always struck me as an amazing dichotomy from such a brilliant individual." "Jim and I were in a couple's group for several years early in our marriage and reading about and practicing the disciplines, especially prayer and simplicity, drastically changed my thinking." "From Brennan Manning's review - "Cron's genius lies in linking the timeless charisma of (St.) Francis (of Assisi) to issues confronting the contemporary church and he pulls it off in compelling fashion." "I read these to my elementary school students every year when I was teaching in Fort Collins. Several came to the Lord as a result. They are now all in their forties and have “found me” on Facebook." "This book opened the world of storytelling to me and gave me the joy of reading." "This book, written in a time when eternal Rome was sacked, presents a biblical view of history and state, reminding us of our eternal city." "The first time I read this novel, I found myself amazed at how skillfully Dostoyevsky merged complicated moral and philosophical issues with a gripping narrative populated by fascinating, fully realized characters. Years later, it remains one of my personal favorites. I doubt I'll ever tire of revisiting it." "This book is quantum physics for the layman. It is delightful, and delightfully comprehensible. I once read that Madeleine L'Engle read cellular biologists for relaxation, and I was struck by the notion of going way outside my field. You come, too!" This book captures the complexity of WWII without minimizing the horror of armed combat and its physical and mental sacrifices. To really appreciate the gift of a sacrifice without knowledge of the circumstances that made the sacrifice necessary minimizes its lasting impact. In these books Rick adds substance and depth to the sacrifice of the "Greatest Generation" who fought in WWII." "A compilation of the greatest devotions of of the last three centuries. They are a constant reminder of who and what I am or should be (a disciple of Christ) and of how my attitude, thoughts, countenance, words, and behavior should reflect that at all times as a witness to others of the joy of salvation through Christ, and I can be a recipient of the abundant life Christ came to bring (John 10:10)." "We never know how things will turn out. Jerry's wife, daughter, and mother were killed by a drunk driver. Where is God?" "I appreciate how this work of literature looks soberly yet redemptively at human existence." "I appreciate how this work of theology looks soberly yet redemptively at human existence." "At the point when I was considering a move from secular university teaching to the Christian college environment, I heard the author speak, and then picked up the book. It was the open door to a deeper understanding of what it meant to live out a Christian worldview." "This commentary of the complete text of The End for Which God Created the World by the great American theologian, Jonathan Edwards, expanded my view of God's glory and how that relates to the purpose of the whole world." "This book captures the complexity of WWII without minimizing the horror of armed combat and its physical and mental sacrifices. To really appreciate the gift of a sacrifice without knowledge of the circumstances that made the sacrifice necessary minimizes its lasting impact. In these books Rick adds substance and depth to the sacrifice of the "Greatest Generation" who fought in WWII." "I’m not sure how it has influenced me, but I've read it about twenty times." "Schmidt addresses the revolutionary impact of Christian thought on human freedom, sanctity of life, sexual morality, charity and compassion, education, science, justice, art, architecture, literature and everyday life." "For his era, Schaeffer was prophetic in terms of describing the front lines of the culture war between worldviews decades before they were clear to the rest of us. His words have echoed through the years as a reminder of our role as Christians in this world; not of it, but in it." "This book addresses the neglected story of the Triumph of modernity ... belief in free will ...the pursuit of knowledge ... human freedom ... property rights." "When I taught FYI (First Year Integration) for several years, my faith and thinking were challenged and changed by reading this book." "This book not only opened my eyes about “what is society?”, but also transformed my understanding of deeper thinking about many things I found to be fundamental in life." "This sweeping story of Jane Eyre is wonderful. She's a true heroine, one whose situation is so difficult, but with pluck and perseverance she overcomes. She is totally true to herself and to God; she is unwavering in her honesty and integrity. This is a story of love, faith, integrity, and God's will; it also is a beautiful story of what true and genuine love is - powerful and redeeming." "This story of adventure, drama, and historical intrigue was a major inspiration for my first novel and helped develop my desire to be a writer." "As someone deeply immersed in both my Christian faith and politics, this book confirmed my calling in both areas, and it confirmed that they were not mutually exclusive but naturally interdependent. One could be a Christian and serve in the political even though my grandmother had told me everyone in politics was "going to hell in a hand-basket.” Bless her heart!" "This book is a concise, compelling case for individual freedom, personal responsibility, and limited government." "During confirmation classes as a young man in the Missouri Synod Lutheran Church, I was required to memorize most all of this book, including the Apostle's Creed, the Lord’s Prayer, the Ten Commandments and Luther's Explanations, etc. This book, coupled with the Bible, made a big impact on my life at the time." "The tragedy of Sir Thomas More pits heroic moral courage against the Nihilist will to power." "Dag Hammarskjold was Secretary General of the United Nations in the 1950s. His "Markings" contains some of the richest nuggets of thought it has been my privilege to encounter." "This is the journal of Hammarskjold, a Swedish Diplomat, Secretary General of the United Nations and published posthumously. It contains profound thoughts, musings, and poetry from a profound person. While not overtly Christian, Hammarskjold's writings introduced me as a college student to a level of personal reflection about God and the meaning of life that touched me enormously." "In very concise, logical fashion, Lewis lays out the tenets and rationality of the Christian faith. I've used many of his arguments in conversations with non-Christians to help them consider that if "right" and "wrong" exist, God must also exist." "Mere Christianity by C.S. Lewis, gave me my first exposure to a thoughtful relationship with the Savior". "This book was very impactful for me in college and growing in my faith. Lewis' no-nonsense style of writing speaks powerfully." "Great apologetic for the Christian faith." "This powerful story of grace, and the stark comparison of one who lives by grace and one who lives by law, is one of my all-time favorite classics. Les Misérables gave me a broader sense of God's grace and plan of redemption (earthly and ultimately)." "Emily Dickson said it best: 'If I feel physically as if the top of my head were taken off, I know that is poetry.' This describes how I first felt when reading Virginia Woolf's novel Mrs. Dalloway. Her mastery of prose never seems to stop baffling me. The way she can slice into a sentence and leave her reader rendered breathless is one of the many reasons why I study writing and literature." "This is the book that motivated me to learn to read. As I learned to read in school, I would read this book (by flashlight) each night for the next few years." "This was my first encounter with contemplative prayer, and was my guide for my first silent spiritual retreat. I reread it each year to find yet more..."
"This book was the most influential for me in my faith development as a young man in a Christian college in the '70s, speaking of Christianity as a set of paradoxes." "Hays has written a unique devotional and prayer book. I have more focus as I use his daily prayers to start and end each day. The subtitle is "A handbook for worship in the home" and Hays provides a book to use in our home life and worship. Imagine a prayer for "After a storm or danger," a "Prayer for one about to approach another for pardon”, or "Prayer upon hearing of a death”? His section on reconciliation and death are exceptional and there are many more wonderful prayers." 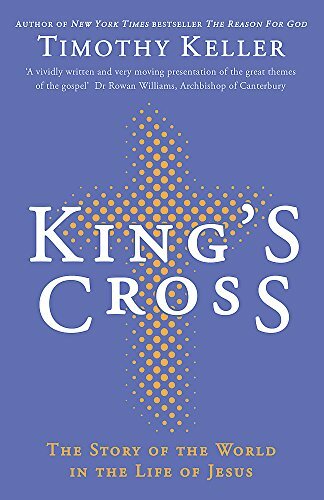 "This book is a wonderful outline for explaining Christianity in a post-modern, urban world. Timothy Keller is obviously a wonderfully gifted and intelligent writer and has debate points that I found inspiring." "This is the most complete picture of how a man should pursue, hear, and advance towards God's plan in his life." "This book laments the amnesia that strikes the modern evangelical church in terms of its own doctrine and practice. Its author poses a question that struck me while reading it as an undergraduate: how can the Church have a direction for the future when it is ignorant of its own past? This book sparked a passion for Church History and for the development of Christian Theology - particularly that which occurred in the first centuries of Christianity - that has never since been quenched! It also brought Christian History and Theology into an extremely practical realm for me - they shape the life of the Church today, and an ignorance of them is utterly debilitating." "This book shares the profound influence of the ancient Jews, Greeks and Romans on the ideals and culture of America." "As a young married couple, my husband and I read this work aloud to each other. It is a powerful story that illustrates how amazing love can be, but also how it can be idolized. Vanauken's story shows that there is great redemption within tragic situations." "I use this book in my Human Sexuality graduate and undergraduate classes. It is well written, designed for the general population and students who have interest in the philosophical zeitgeist and how that affects our understanding of personhood. The iWorld is contrasted with the tWorld, the traditional world, and the rWorld: the world based on relationships within a Christian worldview." "This fiction is likely Lewis’s best (he thought so), but beyond that, it opened my eyes to the ways we deceive ourselves and mar our own perspectives of events, and to the fact that we won’t be able to see perfectly till we have faces." "An allegory about a spiritual journey, and how we 'hide' our faces from each other, from ourselves, and how we truly are redeemed when we really see who we are and how badly we are in need of God's salvation." "This book is responsible for transforming CCU's website from a basic, read only experience into an interactive "Web 2.0" participant. The first application it facilitated was online "Phone Directory" search, eliminating quarterly distribution of a printed internal phone number listing. This book is also a major contributor to careers of Jeremy Porier and Will Hitzges, alumni who were also first two full time programmers in CCU history." "The very first line will never be forgotten -""It is not about you."" "This book reminds me that the greatest gift Christians have received (and therefore offer to the world) is grace. After reading this book, I became a much more "grace-filled" Christian. Those who have been forgiven much love much. Remembering how much grace I've received allows me to be much more grace-oriented and loving toward others."